Home News	Debate: is it time to legalize it? Debate: is it time to legalize it? Student representatives from the Conservatives, New Democratic Party, Liberals and Green Party debated the hot topic of legalization of marijuana in Canada at a Concordia-hosted event last Thursday evening. Organized by the Student Association for Voter Empowerment Concordia and the Political Science Student Association, the hour-long debate covered such topics as the current status of marijuana in Canada, each party’s agenda on the drug and the intricacies associated with its legalization and decriminalization. 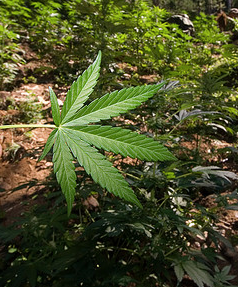 Scanlon explained that cannabis should remain legal solely for medical reasons and maintained that recreational use should be punishable by law. “I’m going to start with a quote from Jack Layton, who said he never exhaled,” said Alex Ederer of the NDP. “That is a metaphor, ladies and gentlemen, for the NDP’s position on marijuana.” Ederer reiterated his party’s belief that no one should go to jail for marijuana-related offences and advocated its decriminalization. Josh Arless of the Liberal Party stated that his organization would legalize the drug but enforce legislations. Fostokjian also noted his party would like to follow in the footsteps of Portugal and Holland in terms of the drug’s decriminalization, as local consumption in both these countries has decreased ever since. Each party was confident in their stance on the issue and were well prepared with facts, suggestions and rebuttals whenever the opportunity came about. Attendees had been asked to write down questions they had for the party members prior to the debate as the second half would be dedicated to the audience’s queries. The atmosphere in the ninth-floor auditorium was tense as back-and-forth conversations began between opponents. Moderator Nick Cuillerier had to remind representatives to keep the sarcasm to a minimum and focus on answering the questions at hand rather than taking jabs at the other parties. Get ready to think pink!